You are currently browsing this article’s comments (below). If you would like to read the full story, then you can see the complete entry here: “What’s Included with Your Free Creative Cloud Membership”. hey there, can you recommend which version of photoshop and illustrator is best recommended for macbook pro 2015 model? Is it really true that Adobe Bridge (the full version) is totally free to download and use forever, and I don’t have to pay for it or have a subscription? You can install Bridge CC either standalone by itself, or together with other applications like Photoshop CC (and all the rest)… Either way, the license for Bridge is completely free and never expires, whether you’re running a free CC trial or a paid subscription. Regardless, Bridge will continue to work and be able to manage and view your media and Adobe files even if/when your Creative Cloud trial or subscription ends. 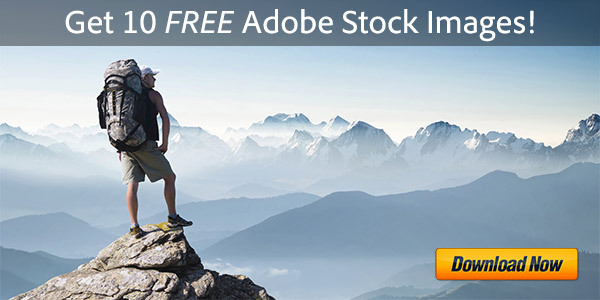 To get your permanently free copy of Adobe Bridge CC (100% legal and genuine), you can download and install it here the traditional way (look for the big blue “Download” button at the upper right), or you can use the CC direct download links here. Hope you enjoy it, and it helps your workflow! Is Edge Animate 1.5 really available for free? Clicking on the link takes me to the Edge Animate CC page and I can only download a trial of that. Yes Gyanish, definitely! You need to download Edge Animate 1.5 here, and it comes with a permanently free lifetime license. Edge Animate CC is a more current release and is available via subscription after the free trial. Okay thanks a lot! Guess I went to the wrong page. Hello there. I think your website is great! I’m surprised no one has yet asked this: with the current Black Friday CC subscription discounts going on, what will happen if I paid for the “All Apps” Creative Cloud subscription discount and skipped the free membership? 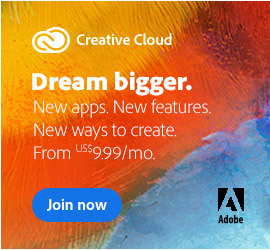 Are there any benefits offered via the free 30-day trial of Creative Cloud that the “All Apps” paid subscription for the same thing (Creative Cloud) does not include? At http://creative.adobe.com/plans, the Black Friday discount for “All Apps” marked down to $39/mo is stated to include “the entire collection of 20+ creative desktop and mobile apps including Photoshop CC and Illustrator CC” but does not reveal what all the apps are. If you look at the list of Single Apps for the $15.99/mo offer, there are only 11 apps shown. So are the other apps the same ones from the free membership? I’m a little confused. Does this mean that upon stopping or cancelling a paid subscrption, all the benefits of the free membership are retained only if I have signed up for a free membership PRIOR to a paid subscription? Sorry for all the questions. Thanks! Hey Kyle, thanks for the props! Apologies if it wasn’t fully clear – the paid plan benefits are better than the free level of CC membership, and they definitely include everything the free level does (plus more). But the point is that if/when you stop your paid CC subscription, then you will still have all the free level benefits available to you. And most of those benefits (as described above) are not time-limited trials. However, no one needs to pay in order to get or take advantage of the free level of Creative Cloud – it’s free for everyone, no matter what. As far as what’s included in the paid membership, here’s a list of all Adobe tools you get in the Complete Creative Cloud. And yes, all the paid plans are currently discounted for Black Friday, and are the best prices Adobe has ever offered on these products. Thanks for the clarification and the links! I’m still not sure whether I must sign up for the free membership PRIOR to a paid subscription, to keep all benefits of the free membership? Nope – if you sign up for a paid plan first, then you’ll get both the free plus paid benefits (everything). So what you get with paid is absolutely better, but you can always switch back to free later regardless. That pretty much clears it all up. Much appreciated! Sure, you bet Kyle – glad to help! Thanks again for your questions and for stopping by. Well, I was certainly excited to see this free and permanent licensing for Bridge CC and for Edge Animate as well….until. Yep, a little research and a call to Adobe reveals there is no such free licensing for anything at all, except of course the famous Adobe Reader. So what give, Prodesigntools? Is this your OWN deal of some kind? A way to harvest emails? Come clean, please. Hey Phil, your comments are misguided and misplaced. The individual you spoke with is incorrect. Everything published in the article above is 100% true and absolutely accurate. Don’t be surprised, it happens sometimes… Some of the front line phone/chat reps are relatively new and not all of them know everything. 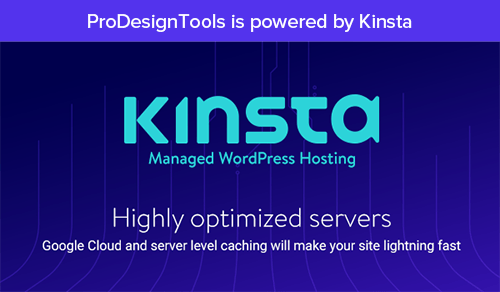 Rest assured – we’ve been running this site for over 6 years, and as official Adobe Partners we talk directly and regularly to the product managers and software development teams, and we pride ourselves on our accuracy. My apologies – I can certainly understand how a tele-rep could be uninformed or mistaken. I am sorry I came across that way here. You guys at ProDesignTools do have a great reputation — no doubt well deserved. 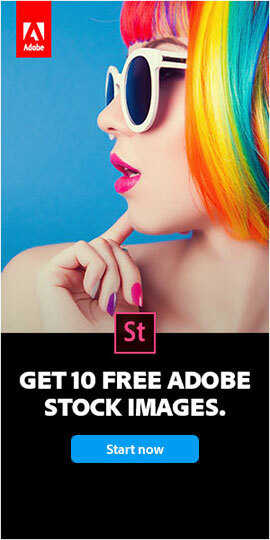 Apparently the free level is offered here, but doesn’t appear in Adobe’s web or ads, as you did indicate above. While an avid Adobe desktop user for many years, I’m not a CC member, and just wanted to try out the experience before committing to a paid plan — especially with this Black Friday special going on. My sincere apologies. It was pointed out above that deals like the free level are difficult to find on the Adobe web, and perhaps the rep was in the dark about this particular opportunity. You folks have a very good reputation, and I should not have questioned your motives at all. Sorry. As a longtime desktop user of Adobe’s photo and video products, I have zero experience “in the cloud,” so just wanted to see how it works before doing the Black Friday special paid route. Thanks Phil – appreciate your response, and no hard feelings. Our goal is exactly to surface little-known scoops, helpful tips, and insider resources for Adobe users like yourself… If you read everywhere else what you find here, then we wouldn’t be doing our jobs! So it’s no surprise that not everyone at Adobe knows about the kind of information we post here – we’d be more surprised if everyone did. But yes, it’s definitely true – both Bridge CC and Edge Animate 1.5 are completely free for everyone with licenses that never expire – and if you want to download them to use and prove it to yourself, feel free! Likewise all the other benefits listed above for the free level of Creative Cloud are gratis for life. What does expire without a paid subscription is all the free 30-day trials for the CC desktop applications like Photoshop, Illustrator, and the rest. is Muse also free? I am already a subscriber to the photography bundle and pay $9.99/month, more with tax. How do I get it? I only see the free trials…thank you! No, Muse CC is a paid application only, and not included in the free level of Creative Cloud – except for the 30-day free trial. i (against my better judgement) installed the CC management tool so i could install the free Bridge CC, and the perpetual version of Edge as suggested here. when checking for updates on my standalone Lr6, it opened the CC management tool instead of the regular update dialog. i noticed that it said Lightroom CC 2015 was installed. since i didn’t install CC 2015, i uninstalled it from this tool. can you guess what happened? Yes, that’s right – it uninstalled my standalone version. i immediately uninstalled every trace of CC ANYTHING off my computer, and am in the process of re-installing Lr6 standalone. the best part is that i chose to not save my preferences when uninstalling Lightroom CC 2015, since, you know, i never actually installed it. so now all my standalone preferences have vanished too. please note that standalone versions of Lightroom are TOTALLY incompatible with installations of anything CC, because CC will take over management of updates and that is where the problem lies. the future of Adobe…. what a joke. Sorry you had difficulties MJ, but the future of Adobe (and the CC products) appear very bright indeed. Lightroom CC and Lightroom 6 are in fact the same program – there is only a single download and a single installation. Just like with past Adobe software (e.g., Photoshop Standard vs. Extended), the version of Lightroom that you get depends on which one you purchased. Nevertheless, Lightroom CC would not have been active on your system unless you personally had chosen to install or purchase it. If you ever have any doubt about which products are actually installed on your computer, just check via your operating system. It sounds like you opted to delete Lightroom’s preferences, so they would not be saved across reinstallation. Normally they would be preserved, as that is the default behavior unless the user decides otherwise. Finally, if you want to quickly install Adobe Bridge CC or Edge Animate 1.5 (both completely free), then you can use the direct download links for Bridge CC here and for Edge Animate perpetual here. Hey, so I just downloaded Creative Cloud because I wanted to use After Effects. I don’t know much about it, but is it completely free? Can I, for example, install the Photoshop app in addition and use it “safely” without any costs? And if no, for how long will it be free? Thanks! Hey Jeanne, all CC desktop apps are available for free trials (download here) and will install & run as fully-functional software on your computer for 30 days (or possibly up to 44 days) at no cost. To use the Creative Cloud desktop tools after that point (including After Effects CC), you would just sign up for a subscription. There are various different plans & bundles available, offered either monthly or annually. PS – Regardless of whether you use the free CC trials, all the other benefits described in the article above for the permanently free level of Creative Cloud membership are no cost for life. So when I cancel my subscription I can still use Photoshop, Illustrator, but not Muse, correct? Hi Jen, why do you say that? I have been a member of creative cloud and also had the pleasure of experiencing creative suite for years. My issue is that there are a certain range of customers adobe has/had who have been left in the dark. For people who need these programs to advance in their career or in between jobs. I don’t care about constant updates but I would like to be able to use the programs when I need them. Sometimes that may be every day this month or a couple days next month. Maybe a month I don’t use it at all. Before I could do so freely without worrying about a monthly payment. I had it available to me whenever I needed it and was able to pay for it in full and not resubscribe. I could upgrade whenever I felt the need to or the benefit of an upgrade or when I was able to pay for an upgrade. This Creative Cloud has been nice but it’s put me into a bind more than anything at this point. I am looking for a way I can still utilize the programs that I paid for but not continue with full membership. I know there is a month-to-month option but that doesn’t help me with using what I paid for when I need it. I fell like I wasted my money in this case and should just go back to working on CS5 until somehow those are locked up unable to use to push everyone to CC. A company should take care of all considerations for what they bring to the table, but it seems it is now ONLY about the money. Well before, it also cost up to $2,599 upfront just to get in the door. Now, it’s just a fraction of that cost in a month – and you get more & better tools and services. As you pointed out, there is a monthly plan that allows you to pay for only the months you use. Per your example, you could go a month between usage or a year – or more. You can always come back to it later, and would only pay when you needed it. And as the article above describes, in the meantime there is a permanently free level of Creative Cloud membership for all who sign up. Plus, Adobe will be resetting the CC free trial periods at least once every single year, granting everyone another free 30-44 days with the latest version. There are some users who wish it, but it seems clear that Adobe is not going back to the old model – and neither will they “lock up” the previous CS programs. Rather, the old Creative Suite software is unsupported and will continue to grow obsolete and not run properly on modern operating systems. The model changed. The pricing changed. For many it will be less expensive than before, and for others it will be more expensive. That’s bound to happen with such a big model change. But Adobe continues to lower their subscription pricing over time, so that is good. The pricing is so low in fact for the $9.99 Photoshop + Lightroom plan, that it’s pretty much a no-brainer for a lot of users (compared to the old model where that software cost over $1,100 upfront). The bottom line is that Creative Cloud has been growing fast with accelerating adoption, and has been an even greater success than the company anticipated… So, you probably shouldn’t expect the story to change from here on out. The link redirects me to the “products” page. Any ideas? Or is it just my computer? Not sure which link you’re referring to – but if you simply sign in or sign up (free), then you will start your free trial of whichever CC products you want, as well as begin your free-for-life level of Creative Cloud membership (as described above). After downloading and installing the trials on your computer, the CC desktop tools will run for 30 days for free (or possibly up to 44 days). If you decide to buy a CC plan, then you can activate the software for ongoing use without needing to reinstall it. But either way, the other benefits of your free level of Creative Cloud membership don’t/won’t ever expire. I’m not sure why it does this. Ah, OK. It looks like Adobe changed part of their website structure since this article was published a few months ago… They modify their site from time to time, and then forward visitors to other pages. Thanks for the update, and we will make the adjustment in the article above. But what we said in the last reply still holds – if you’re interested in a downloadable trial of the CC software in addition to the other advantages offered by the free level of Creative Cloud membership, then just choose the applications you want to try out there. If there are any solutions, that would be great. Thank you for your patience! Right, that’s because the page you mention goes to the latest/current release of Edge Animate CC 2015, which is only offered & available via paid subscription (after the trial is over). For the older, free standalone version of Edge Animate 1.5, see this page for a direct link. Thanks! But just one more thing, I’d like to know how all of this works. Like, have you partnered with Adobe and sponsoring them? This is the first time I’ve been on your website and everything seems kinda out of my way when it comes to understanding things. Yes, we are partners with Adobe – and have been since 2006! The Edge Animate that shows up on my PC is 2014.1, and when I attempt to open it I am asked if I want to start my free trial now. I clicked no to close it, but what gives? Is this an older version that will not be free to keep? Does this mean that if I download the trial of the Photoshop cc 2016, and do not purchase the suite I get to keep Edge Animate for free after that? Do I need to delete my current cloud and download this version it? I don’t know if that is clear or not. I hope so. I appreciate you all! Hi Tiffy, the only version of Edge Animate that is free permanently is the older version 1.5, which is available for download here. Edge Animate CC does not come with the Photography Plan that you have, but it is available with the complete (or All Apps) Creative Cloud membership. Demand ownership of these programs or a lifetime guarantee that it will always be $7 a month! 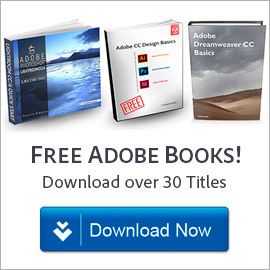 Adobe is greedy and they are forcing people into new software against their will. Nobody is forcing anybody to buy anything. If it were forced, then the Creative Cloud adoption curve be much sharper, rather than showing strong and steady ongoing growth. As for the pricing, Adobe has never raised their core prices on any of their subscription products. Ever, in nine years. So it’s probably not something you should lose too much sleep over… And here’s why. after the 30 days, do I then have to pay to continue using them? can you explain in layman’s terms what this whole process is actually for, please. sorry for needing the extra clarification. Greetings Emma, note that Adobe recently reduced the length of all CC free trials to be 7 days. So yes, the Adobe desktop programs you mention (except for Bridge) need to be purchased after your free trial has ended. Various different subscription plans are available. Hope that fully answers your questions; if not then just post back! I went to the ‘Learn More’ page, read all the conditions and found nothing whatsoever which disallowed me from being eligible. Can anyone give me an idea what is going on? When I go to that page you linked to for the free Abobe Cloud download, it says it’s a “trial” version. So it’s not really free. I had a free version before, but I can’t find it anywhere now. Then, “if you later decide to join the Creative Cloud as a full paying sub­scriber, then you’ll keep all of the benefits of the Free level of membership above – plus add all of the following: … Full access to the complete Adobe CC 2017 toolset …” and many other things.